The Shane Studio, later the Thompson Studio, was run by members of the Shane family in Lawrence, Kansas. The Kenneth Spencer Research Library at the University of Kansas has a collection of photos and other materials from the Shane/Thompson Studios. 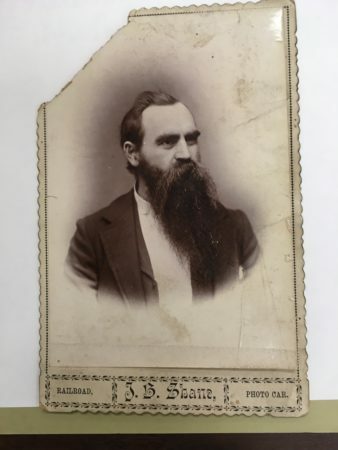 J.B. Shane first opened a photo car in Lawrence, Kansas, circa 1879, later opening 2 permanent studios there. James B. Shane and his wife, Missouri L. Shane, were both photographers; the branding on the studio is always “J.B. Shane”, regardless of the photographer. After James B. Shane is sent to prison for murder, his wife retires and their daughter takes over the studio. Photographs that June takes are branded “Juno B. Shane”. 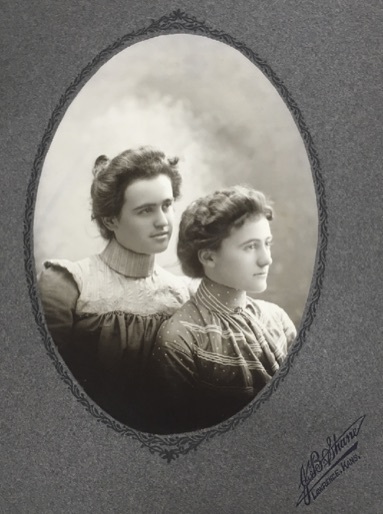 In 1907, Juno B. Shane marries Herbert Thompson; she teaches him how to do photography, and together they continue to run the photography studio her parents started, which is now called the Thompson Studio. After Herbert Thompson dies in 1929, Juno tries to get her sister Myrtle to join her. However, Myrtle was a strong woman who had on many occasions stared down men with guns while working as a missionary in Turkey. She found Juno’s offer to go and work for the Thompson studio for free an offer she could refuse, and although she did train to be a photographer, she apparently never actually worked as one. Myrtle wasn’t a photographer like her sister Juno or her mother, but she was a fascinating women to discover when researching the Shane/Thompson studio. In today’s episode we’ll meet another extraordinary family of photographers from Lawrence, Kansas. It’s a family whose life story includes some tales that are anything but ordinary. In the last episode we were in Lawrence, Kansas. When I left off we had just finished up with what I called the “DaLee Dynasty” of photographers: the father, A.G. DaLee, the mother, Martha DaLee, and their daughter, Eliza DaLee. Ultimately that family, with Eliza’s subsequent marriages, continues to run photography studios in Lawrence, Kansas, starting in the 1860s, all the way until the 1930s. A.G. DaLee, who established the first DaLee studio there in Lawrence, Kansas, died in 1879. Around that time, another family of photographers was settling into Lawrence to operate a photography studio there. 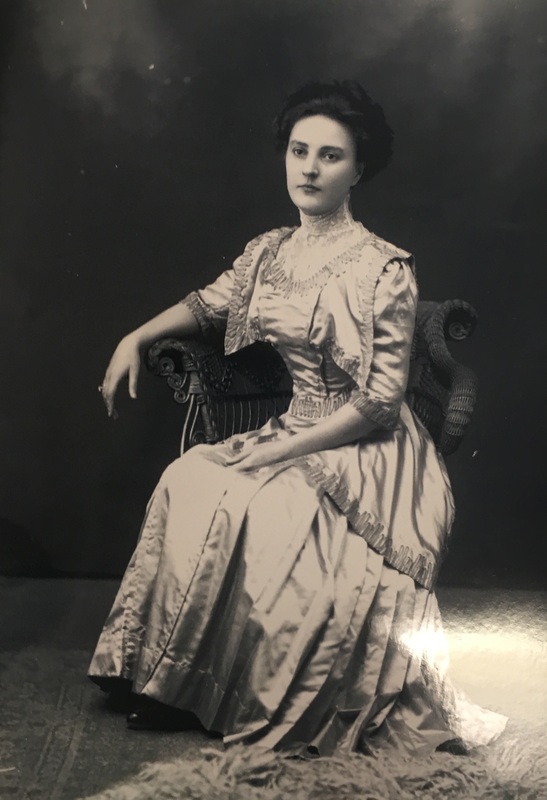 It turns out that that family would be even more long-lived in Lawrence doing photography, because starting in 1879 — and all the way through to 1953 — there is at least one member of the Shane family running a studio in Lawrence, Kansas. And that’s the family I want to talk about today. In 1879, it all starts when Captain James B. Shane brings a photo car to settle in Lawrence, Kansas. Captain Shane was originally from Kentucky. He served during the Civil War with distinction, but he also lost his hearing — or pretty much lost most of his hearing — during the Civil War. And that really derailed his original plan, which was to become a lawyer. So instead of becoming a lawyer, he tried a number of business ventures before settling on photography in the late 1870s. In 1878 he arrives in Lawrence, Kansas, and by 1879 he’s opened up photography photo car which he uses to travel around the area, bringing it back to Lawrence periodically. 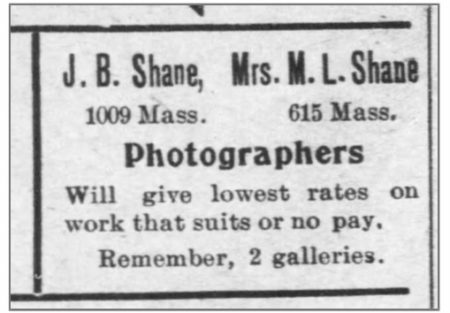 By the mid 1880s, though, he’s actually settled down, opening up a photography studio on the main street in Lawrence (which is called Massachusetts street). 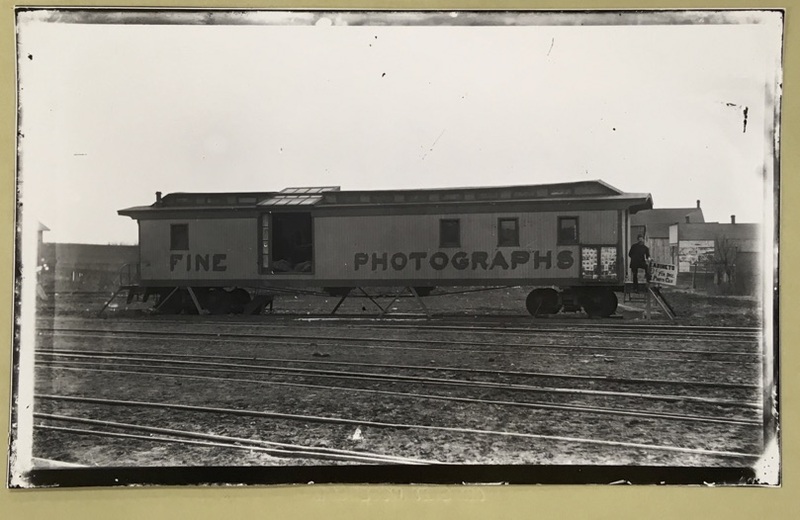 Now, J.B.Shane is the brand on that studio, but as he later described in his autobiography, his wife, Missouri [Shane], was also a photographer . And indeed, by 1899 you can find in the paper advertisements that say J.B. Shane and Mrs M. L. Shane (that’s Missouri Shane). Well, they are running studios there together in Lawrence, Kansas. By 1899 they actually have two locations on Massachusetts street, one being run by J.B. Shane and the other being run by Missouri Shane. The Shanes actually have 10 children, and some of their children become photographers as well. A lot of their sons become photographers, but they move away from Lawrence, establishing photography studios elsewhere in the Midwest. But one of their daughters, Juno Bell Shane — she actually becomes interested in photography. She starts by helping out her parents. 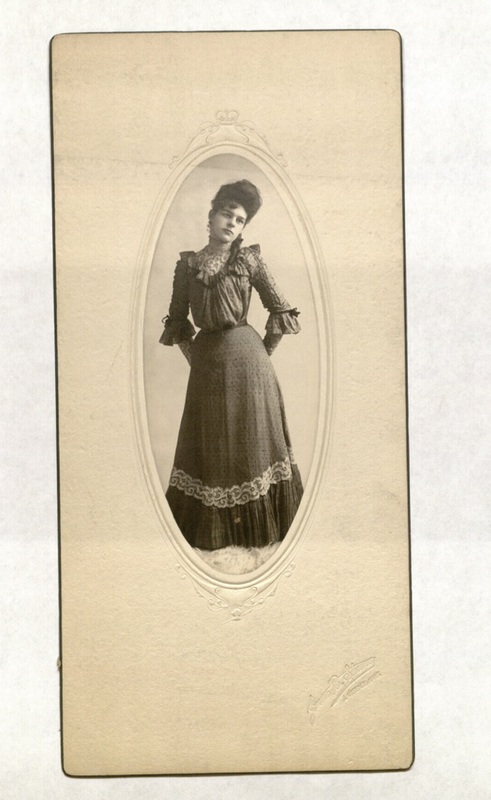 But then in 1901 she goes off to Effingham, Illinois, where there’s the Illinois College of Photography. The Illinois College of Photography has cropped up on this podcast before, because it turns out to be a very popular place around the turn of the century for people to go to learn the craft of running a photography studio. 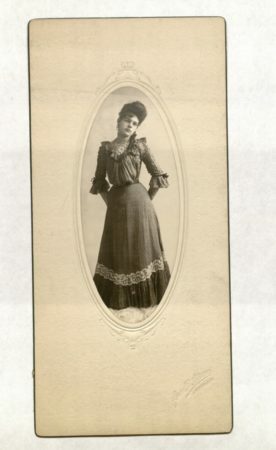 So Juno Shane (again, she’s the the daughter of J.B. and Missouri Shane), she goes off to college in Illinois in 1901. Now she doesn’t return to home to Lawrence immediately [after going to the school in Effingham]. Instead she goes off to get more experience, taking a job at a studio in Virginia. But in 1902 Juno is summoned back to Lawrence to take over the family business there. Well, something extraordinary has happened. You see, in 1902 Captain Shane was closing up his shop one day, going to walk down the street to the other location where his wife was. Now, as I said, Captain Shane had hearing loss after the Civil War, and as he got older, his personality got more crotchety, and his hearing probably got worse as well. In any case, as he exited his shop, two young men were passing by, and they said something which he took offense to. He thought they were insulting him or otherwise being rude. And so, as he later described it, he had a pistol in his pocket, so he drew it out intending to fire into the air to scare them. Unfortunately, his arm was jostled on a pole that was outside his studio, and what happened was he actually shot and killed one of the young men. So he’s arrested and sent to prison for murder. It’s at this moment when Juno comes back and takes over the studio. Missouri doesn’t seem to continue to run her photography studio location; she instead goes and stays with relatives. Obviously [this incident] is quite the talk of the town and a very tragic time for the Shanes. So Juno takes over, and her brothers don’t come back; Juno was on her own there running the studio. 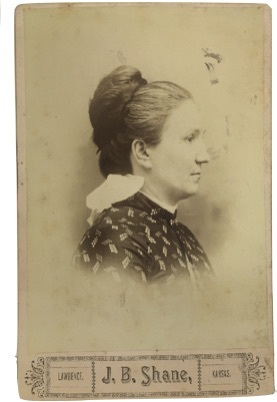 Her mother unfortunately dies [in 1906] while [J.B. Shane] is in prison. So in 1906, Juno is really left on her own there in Lawrence. But she meets a man named Herbert Thompson. And in 1907 Juno teaches Herbert Thompson how to do photography, and they wind up getting married, the studio gets re-branded as the Thompson studio. His children really supported their father; they really felt that he hadn’t intended to kill that young man, [and that] it had been a terrible accident. So they appeal to the governor, and finally, after ten years, their appeals are granted, and J.B. Shane is sent home. His health is very poor, so essentially he is sent home to die. But that’s where his story leads – a tragic ending for Captain Shane, who was one of the early photographers there in Lawrence. But his daughter, Juno, and her husband, Herbert, continue running the Thompson studio very successfully. Now this is, I should emphasize, an artisan studio that Captain Shane had started and, with his wife, Missouri, had continued to run, and Juno, of course, is running with her husband. By artisan studio, of course, I that means she’s taking pictures of people; taking pictures of babies; taking portraits of men and women and couples; taking pictures of things in town; doing everything that an artisan photographer would do. Juno and Herbert are running the studio; [they are] taking out ads and really having success there in Lawrence. But unfortunately Herbert takes ill and dies in 1929. At that point, Juno was looking for somebody to help out with the studio. She’s really got too much to do all our own and at that moment, it turns out that her sister Myrtle, who has not up to that point been a photographer, is actually looking for something to do. Now before I talk a little about Myrtle and Juno and their relationship in 1929, let me just tell you a little bit about Myrtle Shane. Myrtle Shane is a fascinating woman. I mean, she must have been so strong, because she actually wound up in the middle of a terrible situation in 1915, and then later again in 1919 and the early 1920. Because, you see, Myrtle — she wasn’t a photographer at that point — but she’d been a teacher turned missionary. And so, around 1913, she goes to Turkey where she’s teaching school to the Armenian community living in Turkey. After the war broke out, Turkey sided with Germany, and the Armenian Christians [living in Turkey] were seen as potentially siding with Russia, who fought against Germany in World War I. So they [the Armenian Christians] became the focus of a lot of atrocities, particularly in 1915, in what’s known as the Armenian genocide in Turkey, [when] Armenians were being slaughtered in the streets — literally. Myrtle Shane refused to leave the people that she had become friendly with and that she’d been teaching. And indeed, in the school and the related hospital, she and some of the other female missionaries actually took in the refugees and tried to protect the women and children who were seeking shelter there. There’s a story about Myrtle Shane facing down invaders into the school who wanted to pull out the women and children to kill them. And Myrtle Shane is facing down these men with guns; she is unarmed, but she is refusing to let them leave with the women and children, using arguments to persuade them that, you know, they are they are there in peace. America at this point was not part of the war and so she successfully defends the women and children in her care. Now unfortunately, once America does enter the war a couple of years later, Myrtle is forced with the other American missionaries to leave. She comes back to the states, and she embarks on a lecture tour, talking about the atrocities and things that she has witnessed, trying to drum up interest in the fate of these Armenians in Turkey. After the end of World War I, she applies and goes back to Turkey. And when the same thing starts happening again, she actually refuses to leave the country. Now, [at this point] she’s ordered to leave by the charity she’s working for. But she doesn’t want to leave, so she resigns from the charity and stays and protects the women and children who have sought shelter in her school. Myrtle’s story would make a fascinating movie, because it just is mind-blowing how much adversity and how much adventure [she lived through] and how much strength of character Myrtle Shane had. By 1929 she’s actually has left her missionary work and come back to the states. And it’s at that point, after Herbert Thompson dies, that Juno writes to her sister. Her sister is looking for something to do, and Juno says, Well, I’ve heard that you might want to become a photographer, so why don’t you come work for me? You can work for me for free; I’ll give you room and board and a clothing allowance, but you know I can’t pay anything. So, you know, you want to come do that? Now Myrtle — again this is as woman who has faced down men with guns! — Myrtle writes back to her sister and says, Well, you know, that’s a very generous offer, of course… But, you know, I was also thinking of maybe going where you went to learn photography, the Illinois College of Photography in Effingham. So, I’m going to weigh my options, and I’ll get back to you. So a couple of months later there’s a letter from Myrtle to Juno, saying, Dear Juno, as you can see by the return address of this letter, you will understand what my decision was. And the return address was Effingham, Illinois. Instead, she was actually going off and studying photography on her own. Now unfortunately for Myrtle and her ambitions to become a photographer, it looks like she had some trouble getting a job. In the early 1930s: that was a really bad time to be looking for work as a photographer, because studios were shutting down, not opening up. So Myrtle actually becomes a teacher again in the United States. She had been a very successful teacher in Kansas, to the point where they had actually offered her a lifetime contract. Now this was [practically] unheard of back in the early 20th century. In Kansas, at least, teachers [at that time] would have to get their contracts renewed each year. But myrtle was so good and so well-respected she was offered a lifetime contract if she would just come back to Kansas to teach. There’s no evidence that Myrtle actually ever really successfully pursued a career in photography, even though there is this exchange [of letters] with Juno and evidence that she [Myrtle] did study photography around 1929-1930. [As for] Juno, even though she doesn’t get her sister to come work for free does some how figure out how to keep that studio running. And so the Thompson studio, which again had been originally the Shane studio, it continues to run until Juno’s death in 1953. As I said at the beginning, Juno winds up running that studio there in Lawrence Kansas for over fifty years, by far one of the longest stretches that I’ve found for a woman running her own studio. Before I end today, I want to really thank all the people at the Kenneth Spencer Research Library at the University of Kansas Libraries, particularly Beth Whittaker and Kathy Lafferty. Really, special thanks to Kathy in particular, because she was the one who pointed me to the Shane-Thompson collection at the Spencer Research Library there at the University of Kansas. Kathy also has worked a lot with that collection, and she has a finding aid that includes a little biography of Captain Shane that I’ve drawn upon heavily for this podcast. Also a couple of years ago Kathy wrote a blog post about Myrtle, and that really pointed to me in the direction of a lot of information about Myrtle Shane. So again, special thanks to Kathy Lafferty for all of her help with this podcast information [for this episode]. I should note that I discovered the correspondence between Myrtle and Juno Shane while digging around in the material at the Shane-Thompson archive, and that added a nice postscript to Kathy’s blog post about Myrtle Shane and her exploits during World War I.
I’ll put a link to some of the materials in the Shane-Thompson archive there at KU on my website at p3photographers.net. That’s letter ‘P’ number ‘3’ photographers dot net. If you ever have a chance to go to the University of Kansas and check out this archive in person, you will find some amazing material: wonderful images from the Shane/Thompson studio, but also some more materials, including letters and bills of lading and other materials like that. And also the archive had a special treat. As it turns out, there’s a photo of J.B. Shane standing with his photo car. I love that, because it gives us a real sense of what these photos cars would have looked like. So I will include a copy of that in the episode notes as well. If you have any questions about any of the material I covered today, remember you can always drop me a line at podcast “at” p3photographers.net. Or, you can also follow me on Facebook at facebook.com/p3photographers. In Season 3 the theme is all about connections. As we’ve seen, in Lawrence, Kansas it turns out there a lot of connections between women photographers and these families whose lives are crisscrossing [while] running studios simultaneously there in Lawrence. But there’s even more than the two I have already talked about. For example, in the 1919 Lawrence city directory, we find a list of 5 photography studios, 4 of which are run by women. Now, we’ve already met two of them: Mrs Eliza DaLee Willis Squires Fey (that’s from Episode 26) and, of course, today, Juno Shane Thompson. But that’s only 2 of the 4 [studios] there that were being run by women in 1919. 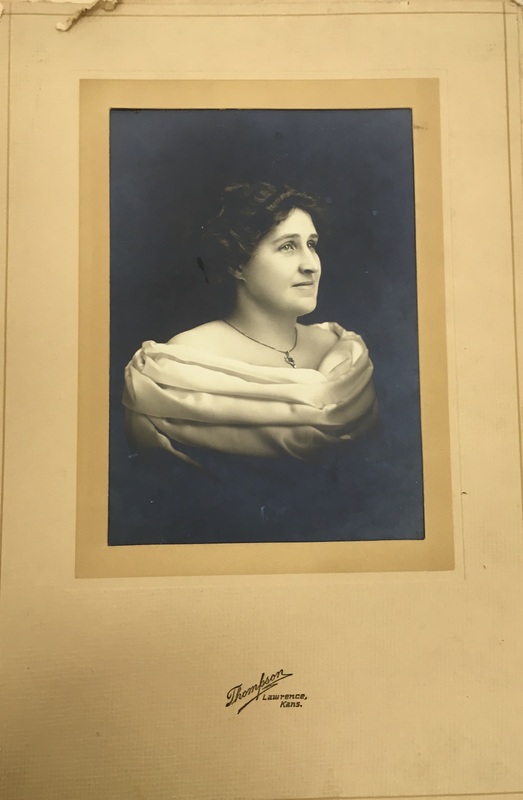 So next time, in Part 3 of our focus on Lawrence, Kansas, we’re going to meet the other two women who were running those studios in Lawrence in 1919. Their stories, and their struggles as women running studios in Lawrence, are equally as compelling as those of Mrs Thompson and Mrs Squires Faye. So I hope you’ll join me. Until next time, I’m Lee McIntyre and this is Photographs, Pistols & Parasols. Previous Previous post: 28x – Next episode coming December 1st!